I’m building long-range plane and was looking for camera with small frontal area. 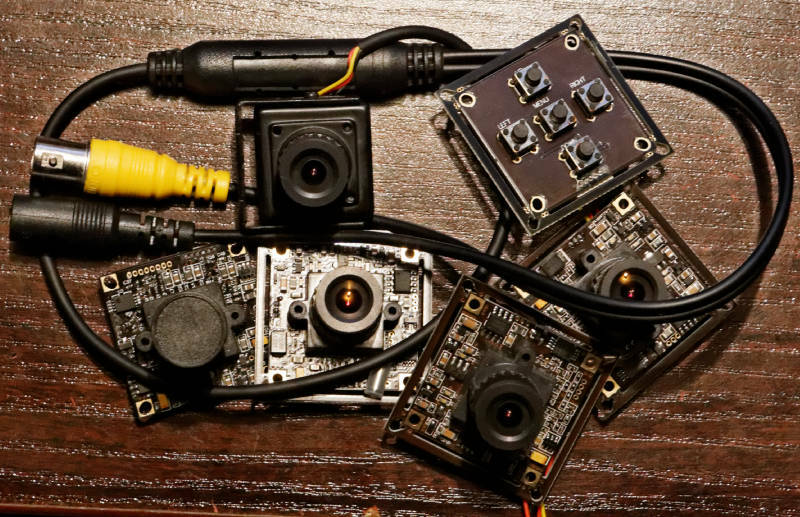 All my FPV cameras are PZ0420 (with or without IR filter, also known as CMQ1993X on sc2k, sold as CC1333 and CC1333-B on surveilzone) – great cameras for FPV, but huge drag on fast plane. It’s really small! Even with this metal case it’s much smaller than PZ0420 with broken off edges (bottom left). Low light performance – light turned off, PC below is working and small lamp in another room side… Really dark. WDR On, AGC Medium, Brightness/Saturation/Colors adjusted a bit. WDR setting at max. Low light performance – light turned off, the same lightning conditions. – settings cable is really stupid, compared to PZ0420 – i will probably set everything as i want and toss it away. Hard to use, heavy, on the same cable as video signal, pffff…. This entry was posted in Laisvalaikis, Skraidymai and tagged camera, fpv, wdr on 2014.01.17 by ABL.